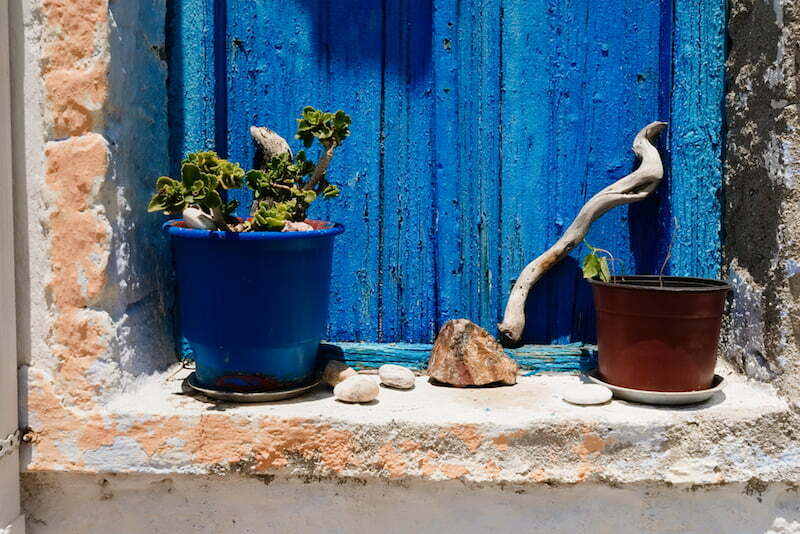 Nurture, transform and immerse yourself on the Greek Island of Ikaria – known as the island where people forget to die. 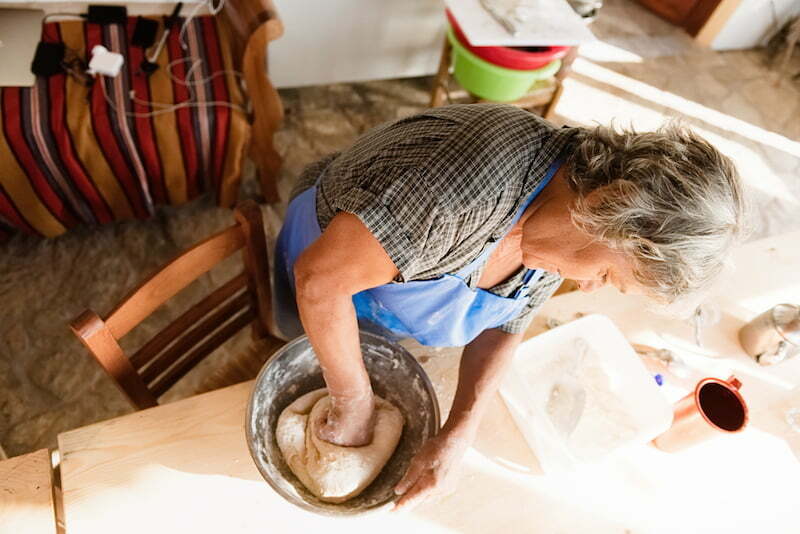 Ikarians experience 80% less dementia, 50% less cancer and 20% less heart disease. Over the course of these 10 days you’ll not only find out why, but you’ll Experience it. 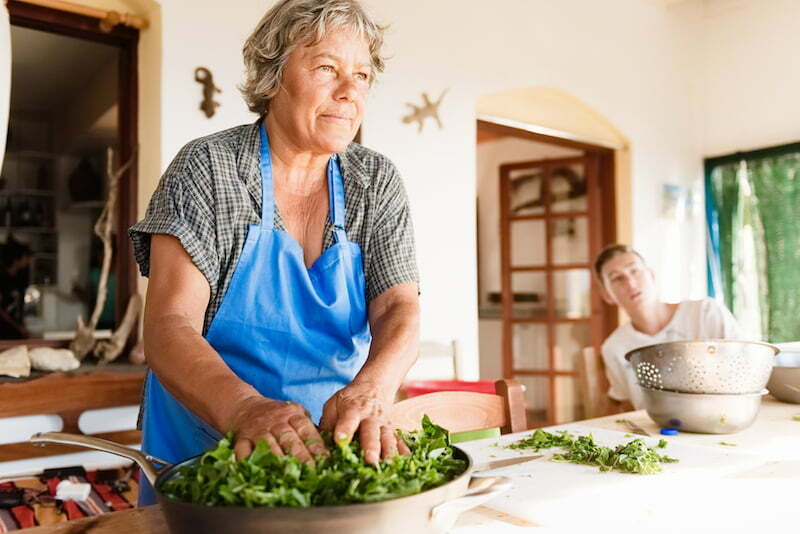 The mantra of the 10-day Mediterranean Longevity Experience is to “learn by doing”. Our days are spent LIVING the Ikarian lifestyle. Ensconed in the village of Nas and based at the globally recognised Thea’s Inn, you’ll quickly get used to gourmet breakfasts, long lunches and sunset dinners interspersed with breath-taking walks, dancing the night (or day) away at a panigiri (local festival), farming the land with the locals, preparing incredible food, observing centenarian lifestyles, swimming in the ocean and more. This is no ordinary “tour”. These 10 days truly are an Experience. 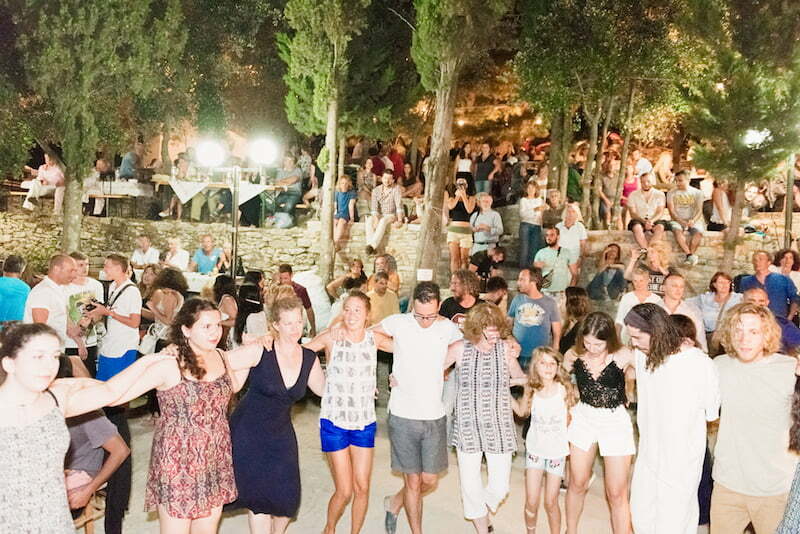 Led and facilitated by wellness and longevity authorities Dr Damian Kristof & Marcus Pearce – you’ll learn not just what makes the Ikarians the world’s most graceful agers; you’ll discover how you can do it too. 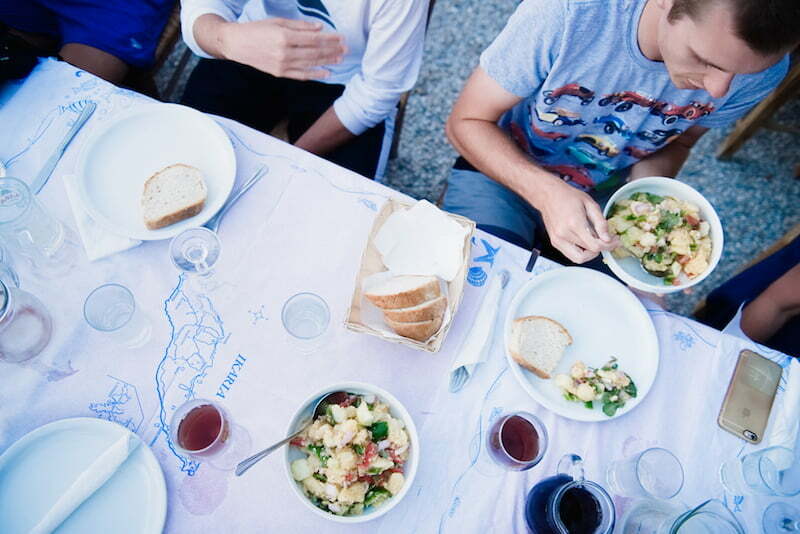 For 10 days you’ll live LIKE a local, WITH the locals. 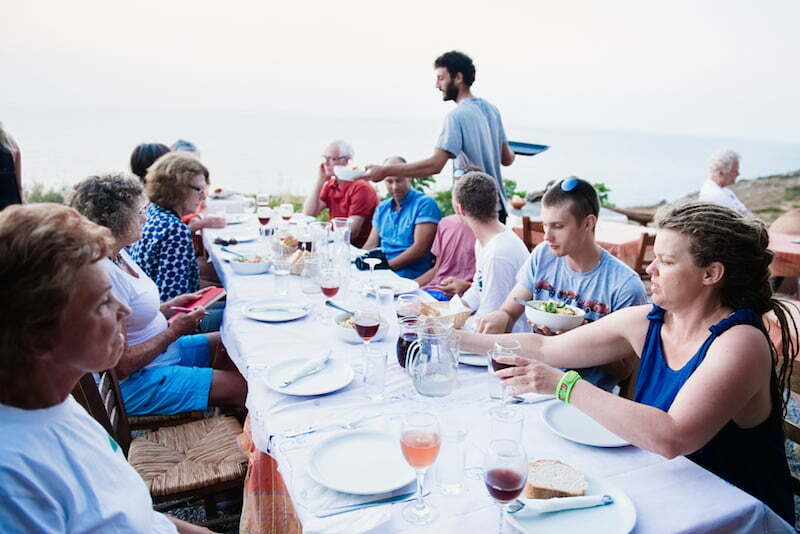 Immersed in the seaside village of Nas, each day of the Experience begins with a gourmet breakfast of locally grown produce (the pictures on this page tell a thousand words) whilst you take in the majestic Aegean Sea. 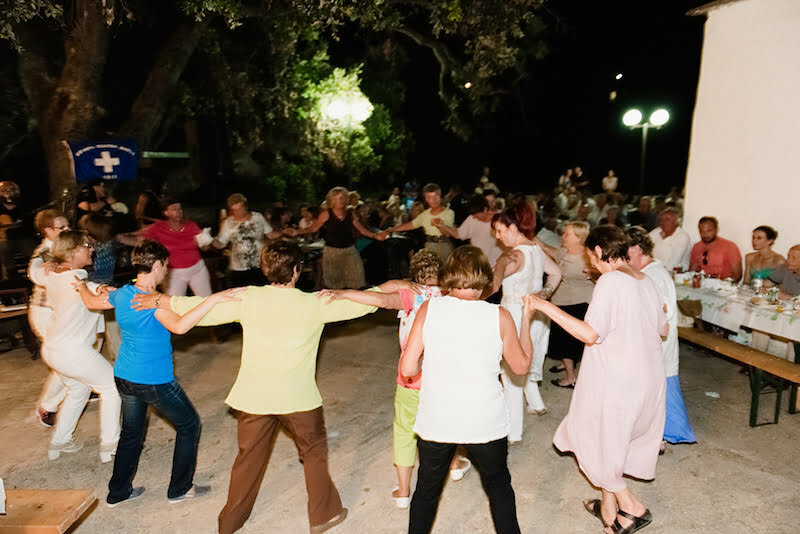 Movement and socialising are a large part of the Ikarian culture and lifestyle. 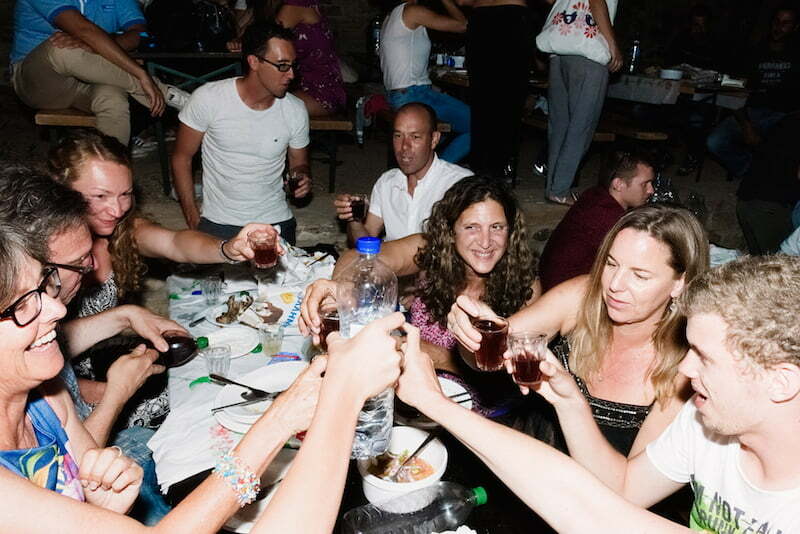 On at least one night we will attend a panigiri – a local festival where we feast on goat broth, bread, tzatziki, wine, Greek salad and hot chips! 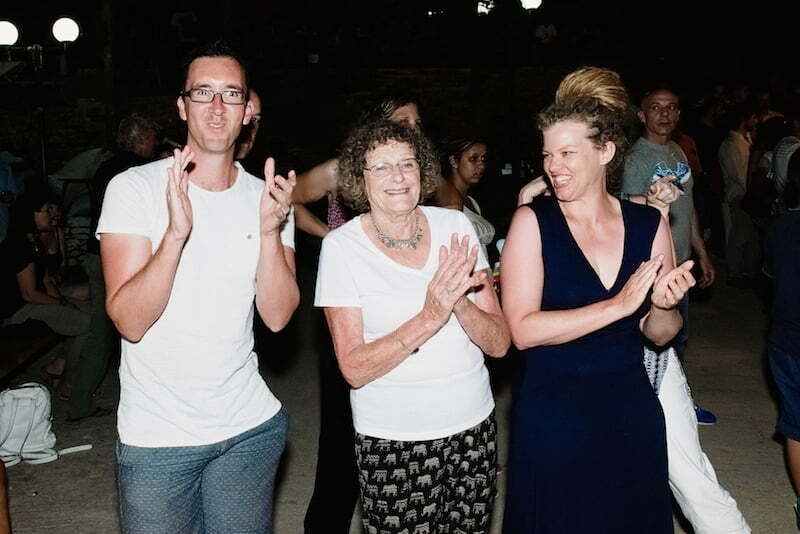 And, most importantly, dance the night away with the locals! 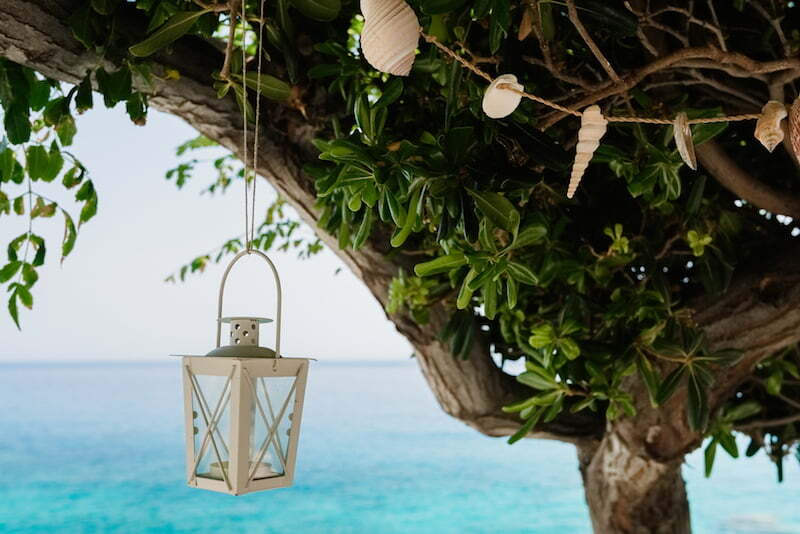 Rest, Relaxation & Rejuvenation – Greek Island Style! You’ll go back in time (1 century BC to be precise) when you visit the Therma Hot Springs for some serious Ikarian rejuvenation. 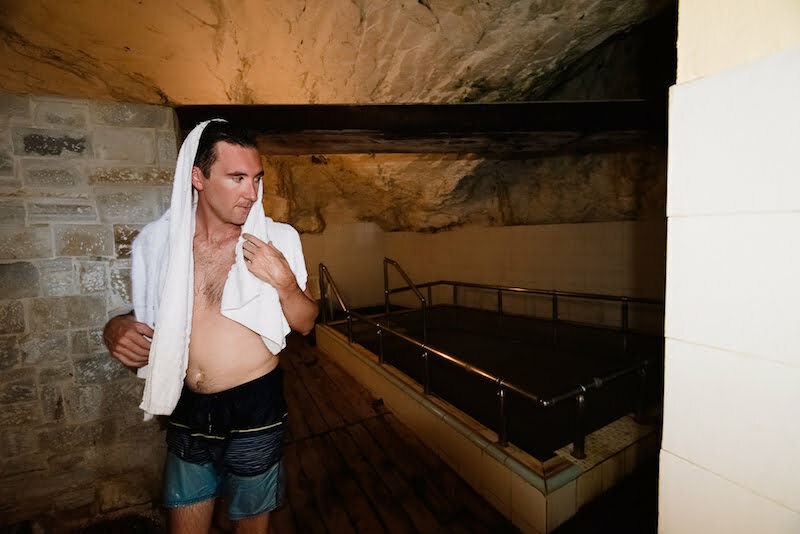 The infusion of gold, silver, sulphur and other mineral elements from the spring will leave you extremely relaxed, cleansed, and oh so happy to be alive and in the thick of a European Summer. The history of curative springs dates back more than 2,500 years, spearheaded by Hippocrates, the founder of medical science and the father of hydrotherapy. 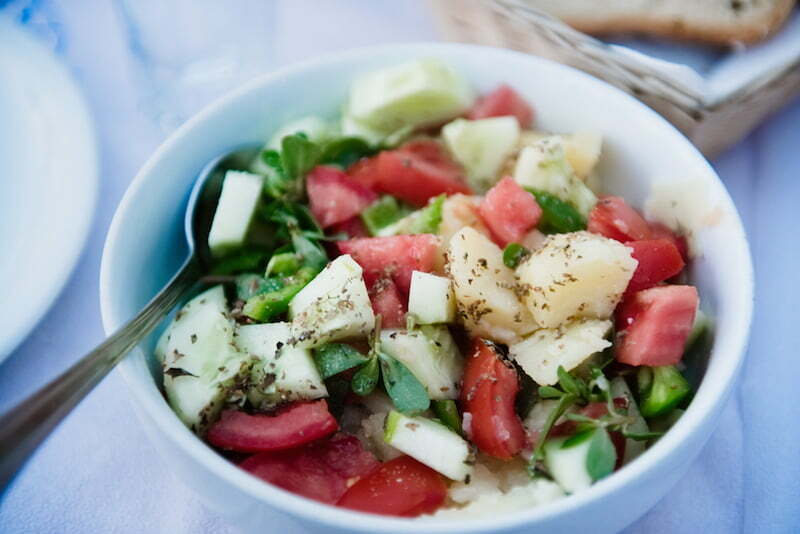 The Ikarian diet is your quintessential Mediterranean diet. 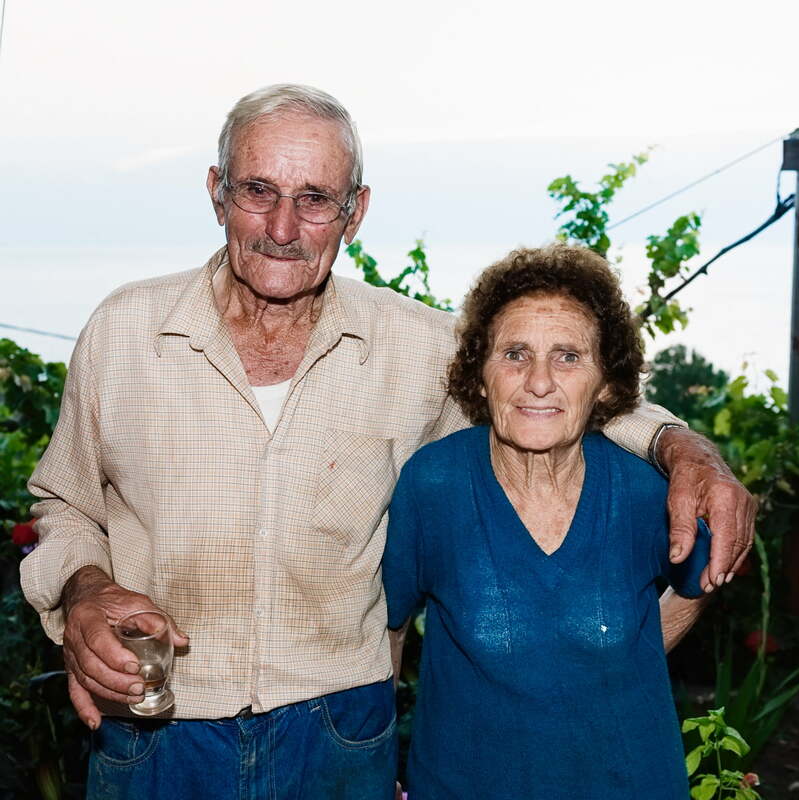 See how Ikarian food really get from soil to plate by visiting the farm of Thea and her husband Ilias. 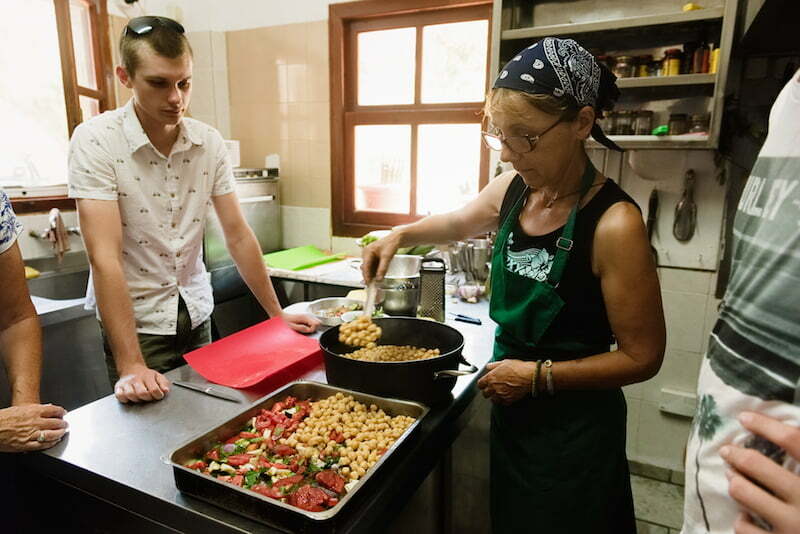 Not only will Ilias take us on a farm hike but we will harvest food for our cooking class with Thea and Athina, and then enjoy the fruits of our labour for dinner all whilst taking in the views of the Aegean Sea. 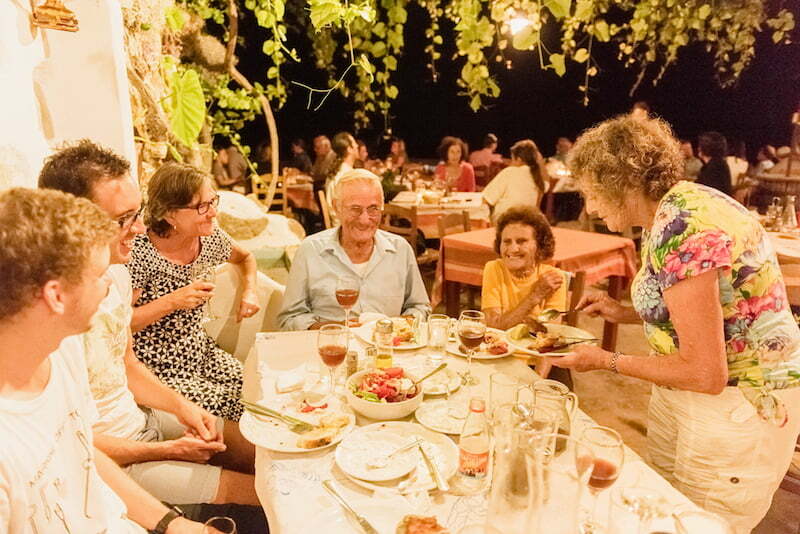 The Mediterranean Longevity Experience includes many food-related activities, including a visit to one of the world’s oldest vineyards and beekeepers. 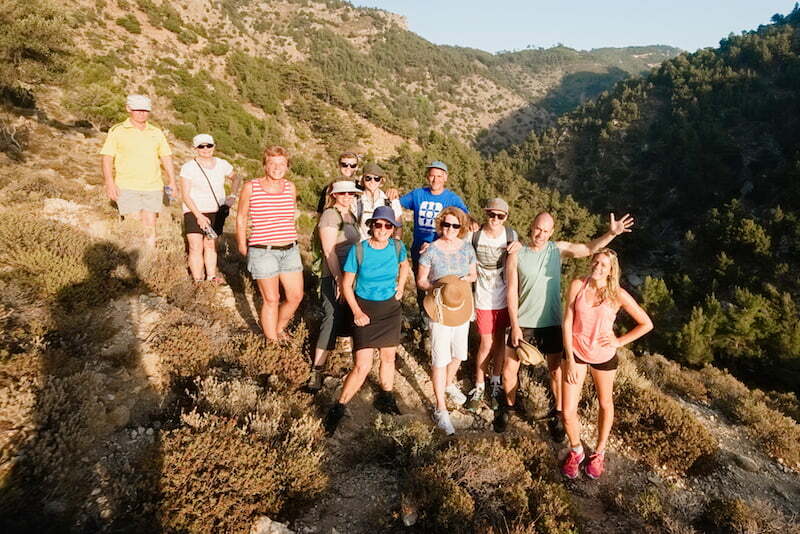 During our Longevity Experience we will go on a variety of picturesque mountain walks with a constant view of the Aegean Sea or mountain ranges, and always ending with a sunset dinner, a picnic lunch, or some form of traditional gathering. 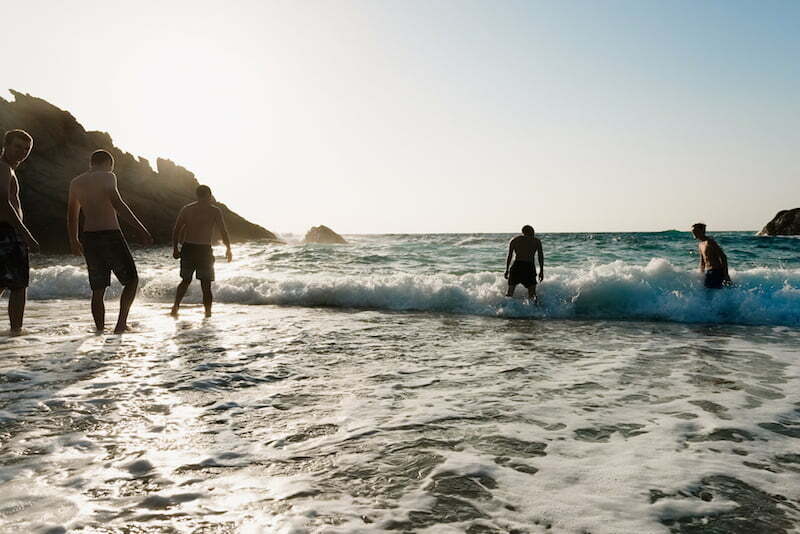 In addition, Thea’s Inn is just a five minute walk to the beach where you can enjoy a daily swim. 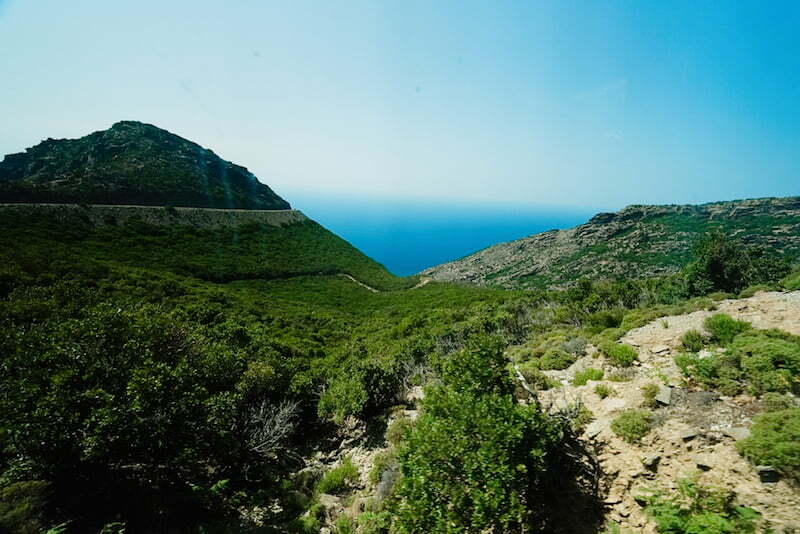 The “goat track” to Armenistis, the next town along, is a great 45-minute round trip walk with a constant view of the ocean. 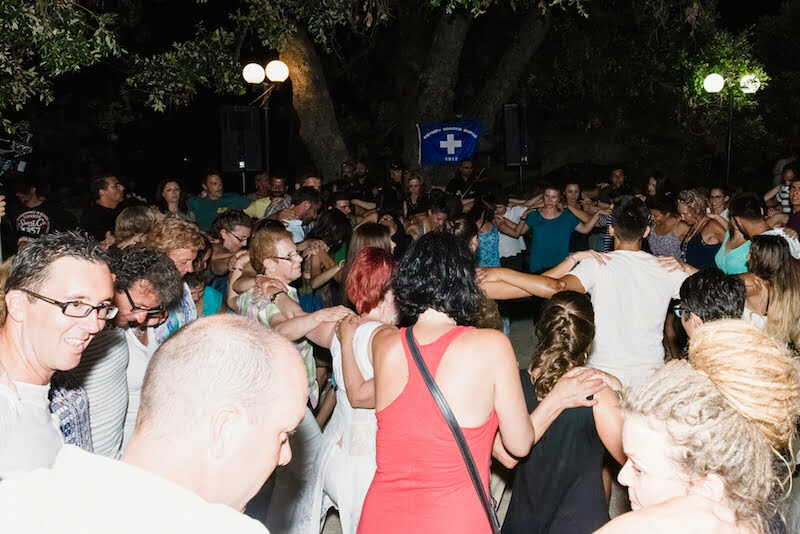 The 100 Not Out Mediterranean Longevity Experience begins at 4pm on Wednesday September 4 and concludes on the morning of Friday September 13, 2019. 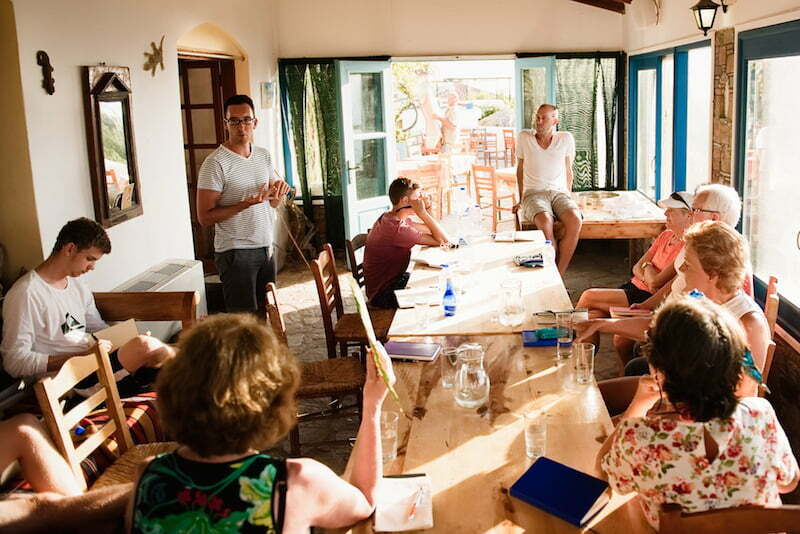 Your enrolment includes ALL food, drinks, integration workshops and activities. Enrolment is by application only. Applications are processed on a first-in first-served basis. Once your application is successful and we have spoken to you personally a non-refundable $100 deposit will be processed. A further $1500 will be processed two weeks after your enrolment is accepted and the balance is due on May 28, 2019. If you buy no souvenirs, it’s possible that you won’t spend a cent during the Experience. 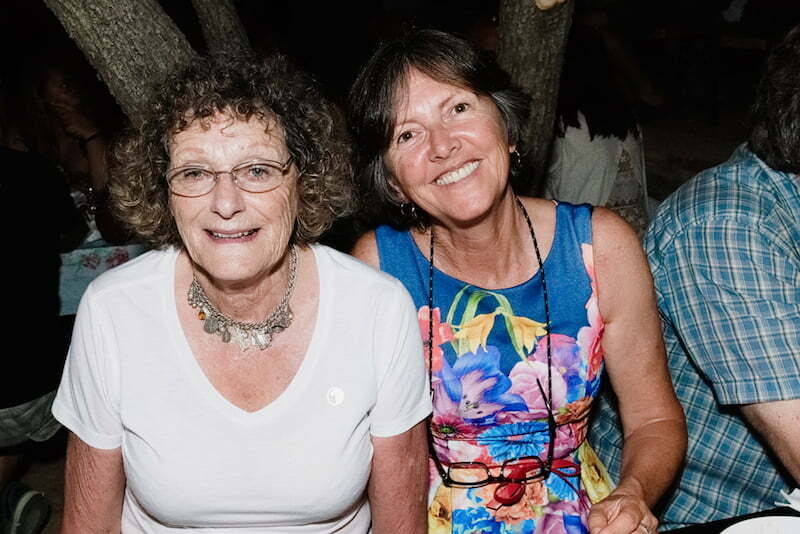 Thea Parikos is the founder and owner of the Trip Advisor #1 rated Thea’s Inn & Restaurant. 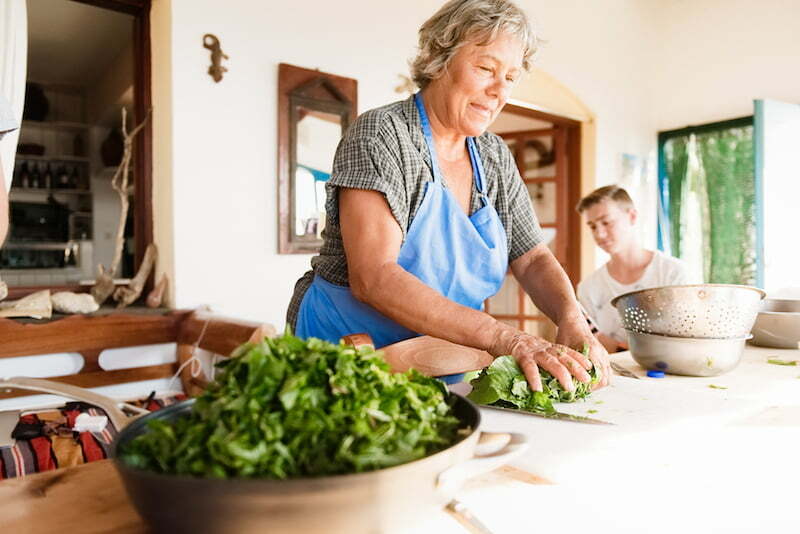 Thea moved to Ikaria from Detroit for a simpler life and lives with her Ikarian husband and two children. 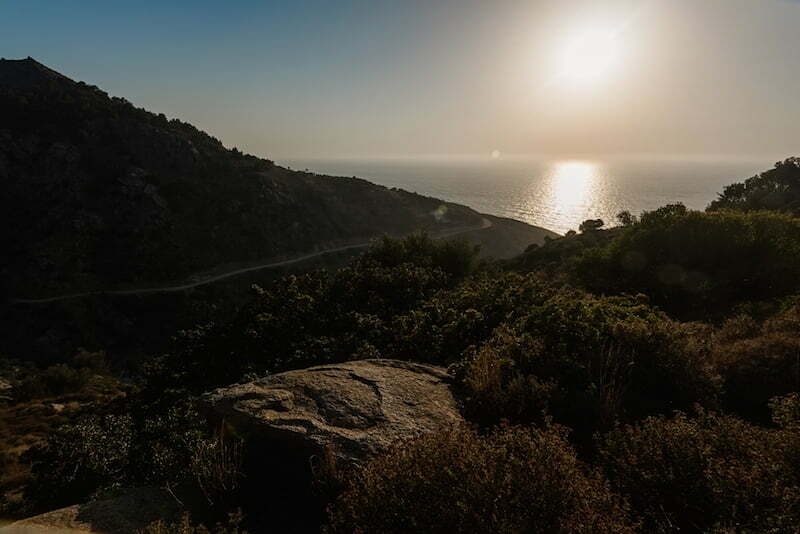 Renowned for it’s “close to nature” ambience, our base and your accommodation in Ikaria have views of the magical Aegean Sea and act as an ideal base to explore the island and get immersed in the culture. 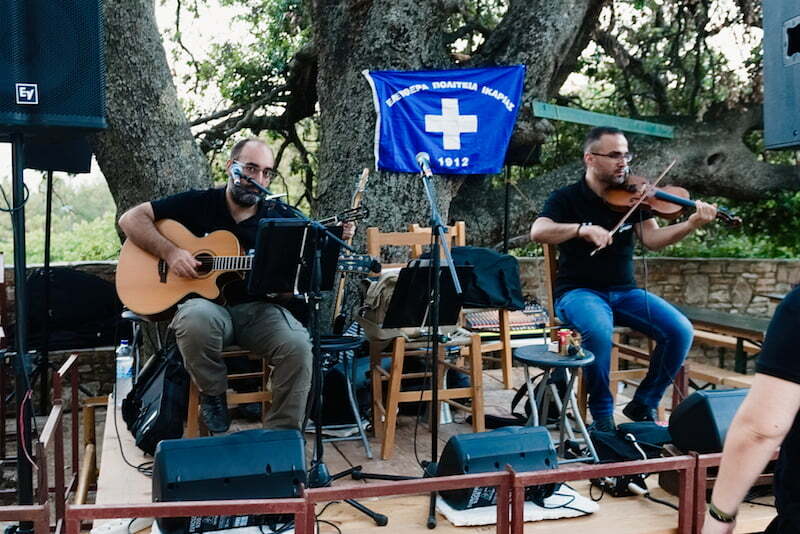 You will need to purchase your own return flights to Athens and from Athens to Ikaria. The Experience will start at 4pm on September 4, and check-out is 10am on September 13. 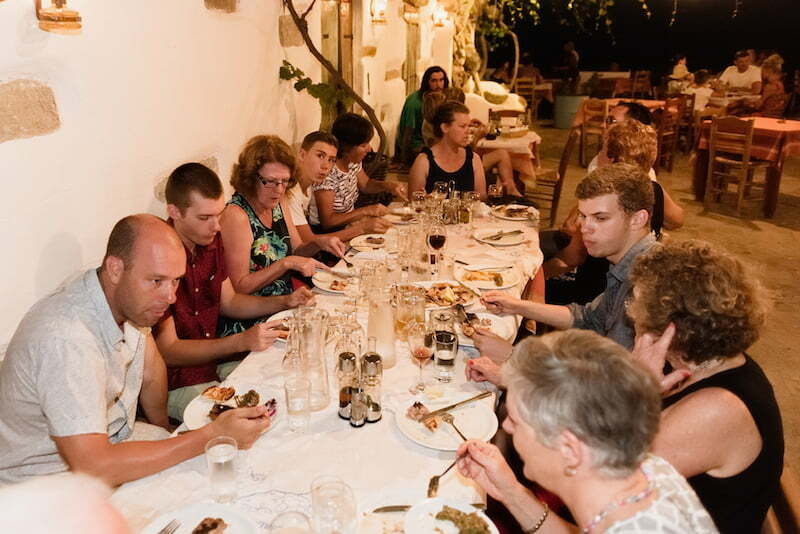 Your enrolment includes transfers to and from Ikaria airport to Thea’s Inn. 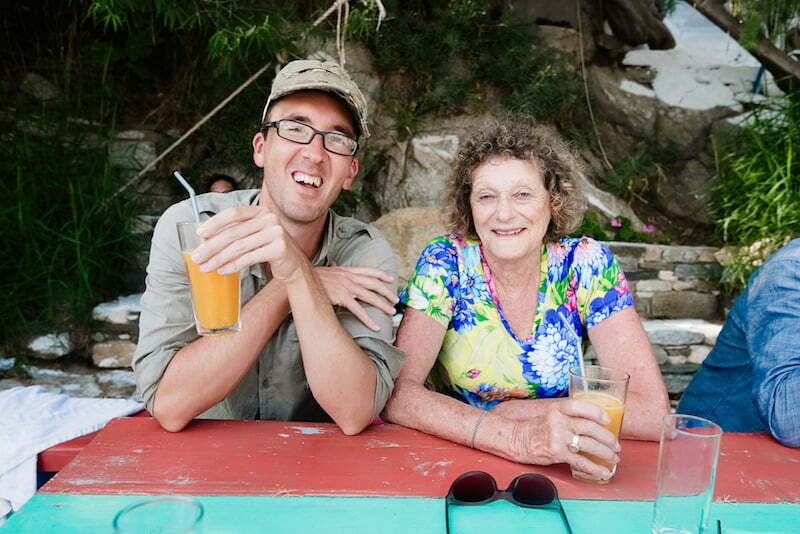 You will need to organise your own Travel Insurance. I want to attend but I need to confirm a few things first. When should I apply? Applications are processed on a first-in first-served basis, so even if you aren’t 100% sure on whether you can make it, we recommend that you put yourself as close to the front of the queue as possible. You can withdraw your application at any time and your deposit is not processed until we have contacted you directly to confirm your place on the Experience. Are all dietary requirements and allergies respected? Absolutely! Whether you’re vegan, vegetarian, gluten free or have any allergies, you will be well and truly looked after. The Experience has had attendees with varied dietary requirements, and the feedback on the food has always been sensational! Is there a couples discount? 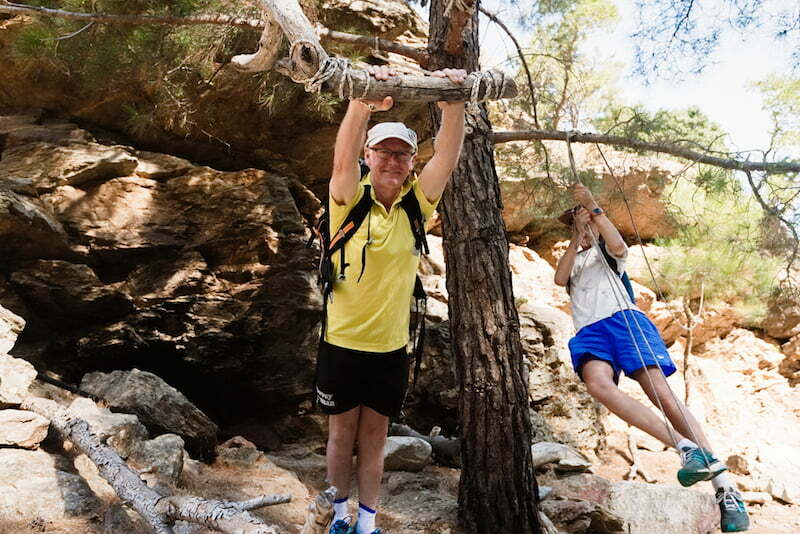 There is no couples discount for the Mediterranean Longevity Experience. The only exception is children under the age of 18, who are charged at $3997. Absolutely! If you feel that your kids are old, fit and mature enough to be on the Experience, then we encourage your children to be a part of it. The rate for children is $3997 (age 12-17 inclusive) and includes everything the adults receive. We feel that if your children are ready, then they will participate and learn as much, if not more, than the rest of us! 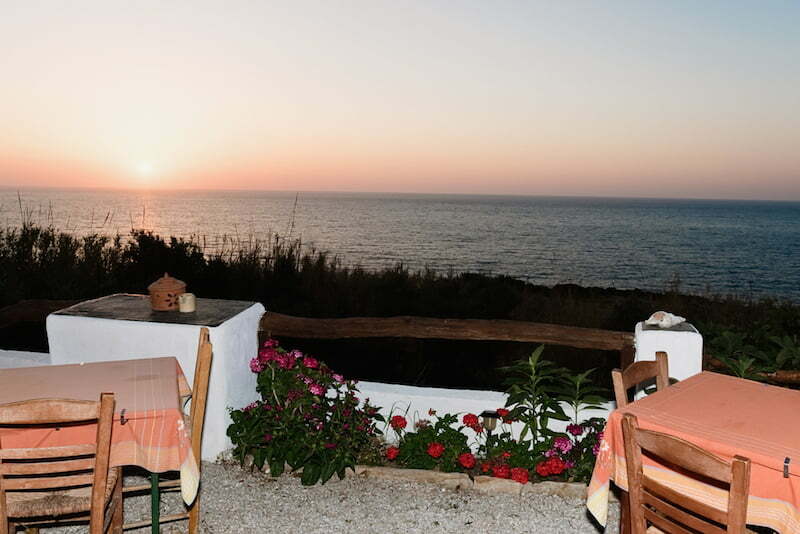 Accommodation is twin share and located in the village of Nas. 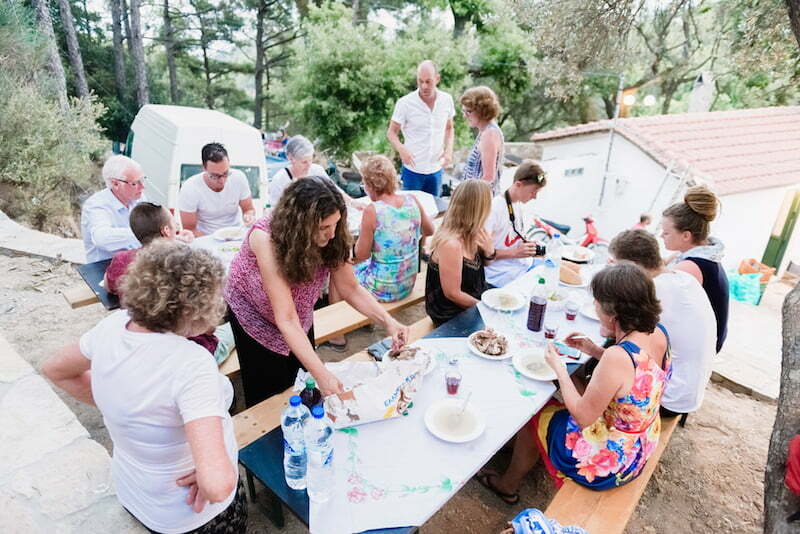 With a population of just 70 people (and most of them related), we stay at the beautiful lodgings of the locals. 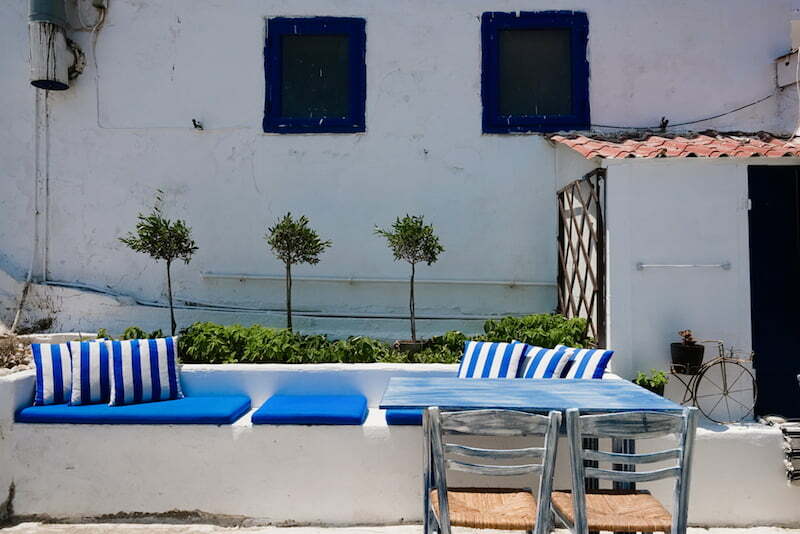 All rooms are air-conditioned with an inspiring view of the Aegean Sea. If you prefer a room to yourself, the single supplement for the duration is $700. Does my enrolment include flights? Your enrolment does not include flights. 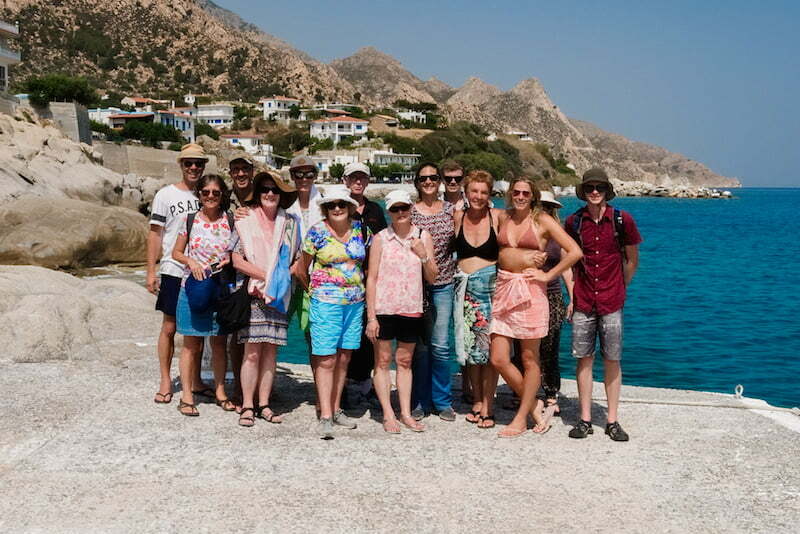 People attending the Experience travel to Ikaria from many different parts of the world so it’s much easier to book your own flights to Ikaria. 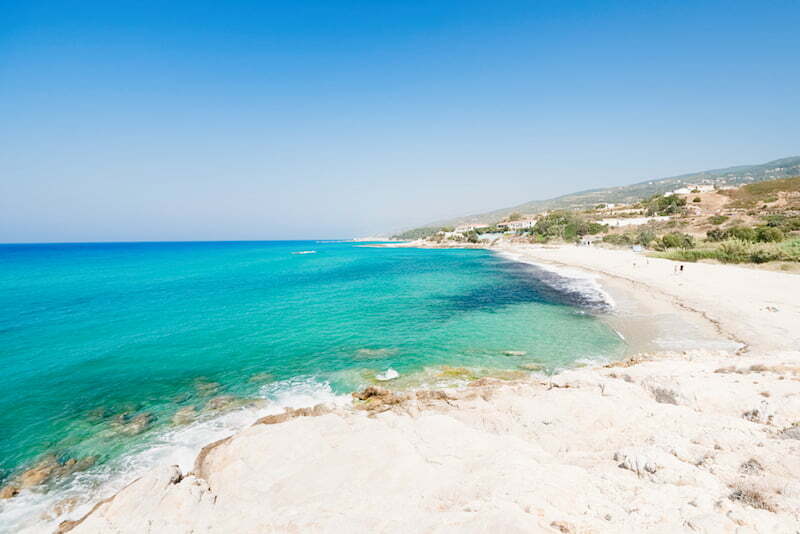 We suggest flying to Athens and then boarding the 55 minute flight from Athens to Ikaria with Olympic Airlines. 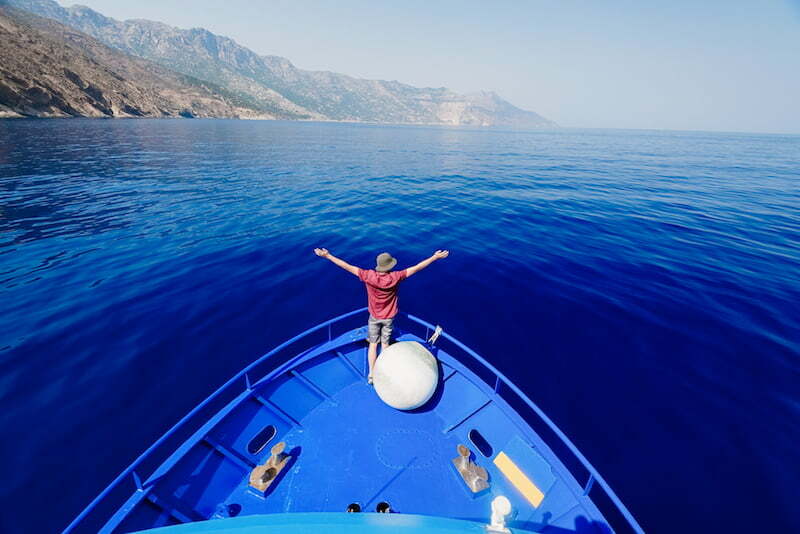 How do I get to Ikaria? 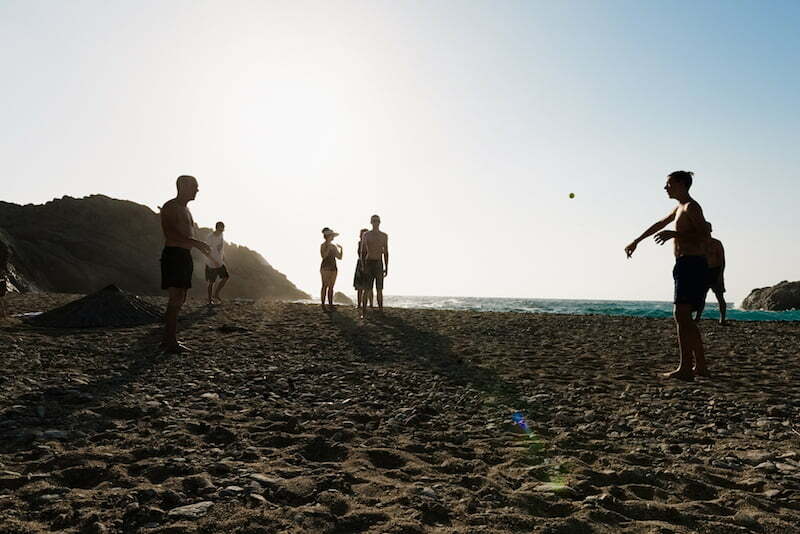 Our suggestion is to fly to Athens and get the 55-minute flight to Ikaria (departs Athens at 1pm and arrives in Ikaria at 1:55pm). 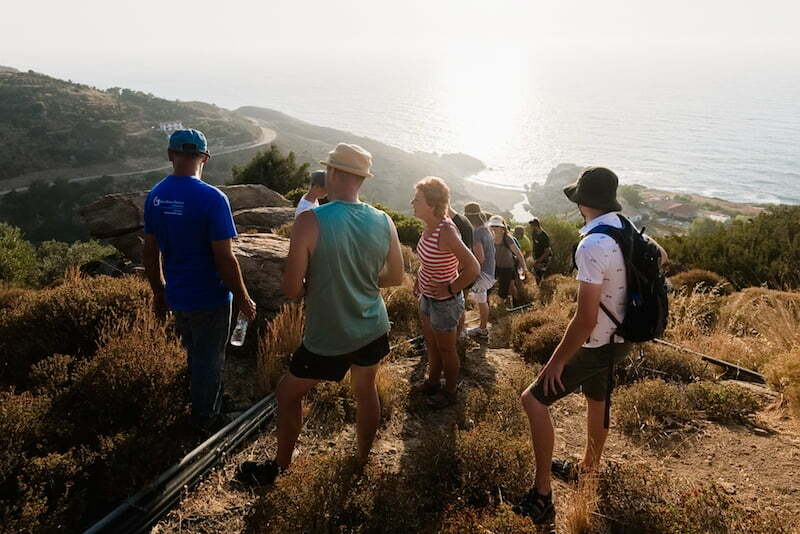 If you want to take the scenic route you can get a ferry from Athens or if you want to be super tricky you can get a ferry from Turkey, but flying from Athens will be the quickest. We do NOT recommend the ferry option, as it is considered far less reliable. Can you tell me more about Thea & Thea's Inn? 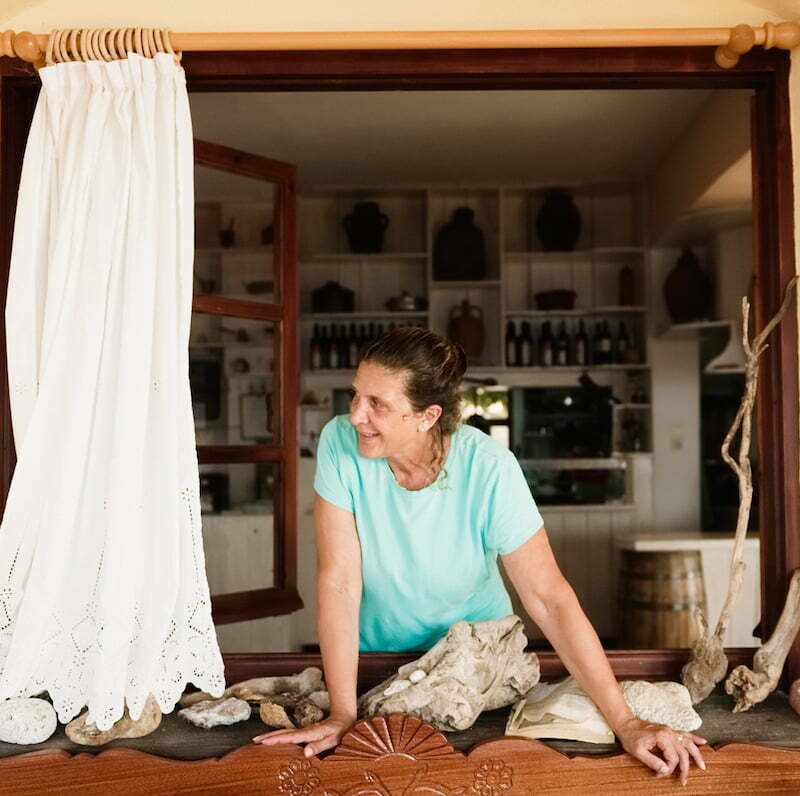 Thea Parikos is the founder and owner of the Trip Advisor #1 rated Thea’s Inn. 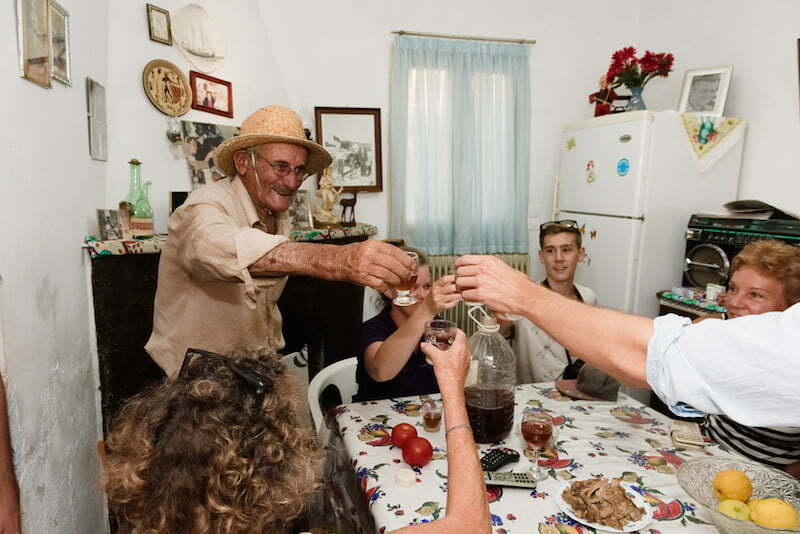 Born to an Ikarian mother and an American father, Thea moved to Ikaria from Detroit over 23 years ago for a simpler life and lives with her Ikarian husband Ilias and two children, Gianni and Leftheres. Thea has been featured globally on the wisdom of the Ikarian lifestyle, including ABC, CNN, NBC, and in Australian on 60 Minutes (Ch 9) and Sunday Night (Ch 7). 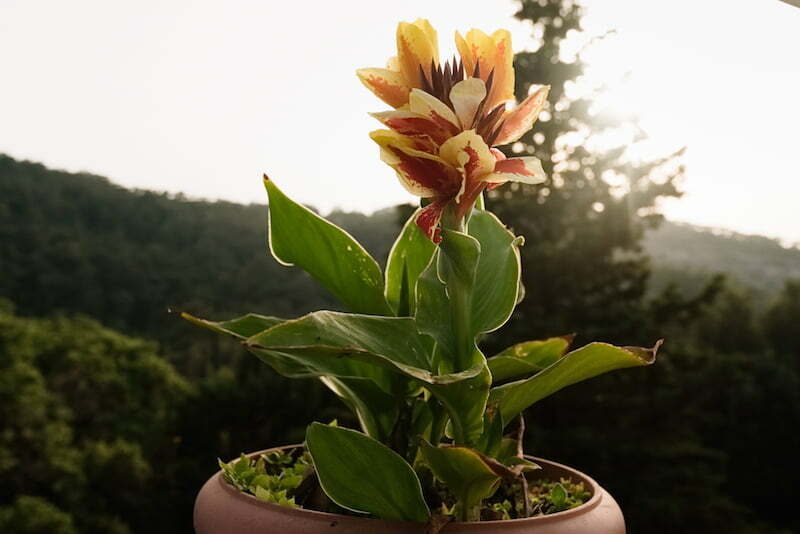 She is a wealth of knowledge and acts as a great bridge between learning what makes the Ikarian lifestyle so special, and how we can apply much of it to our own modern lifestyle. Thea has been interviewed multiple times on 100 Not Out. Simply search for “Thea Parikos” or “Ikaria” at www.thewellnesscouch.com to tune in. 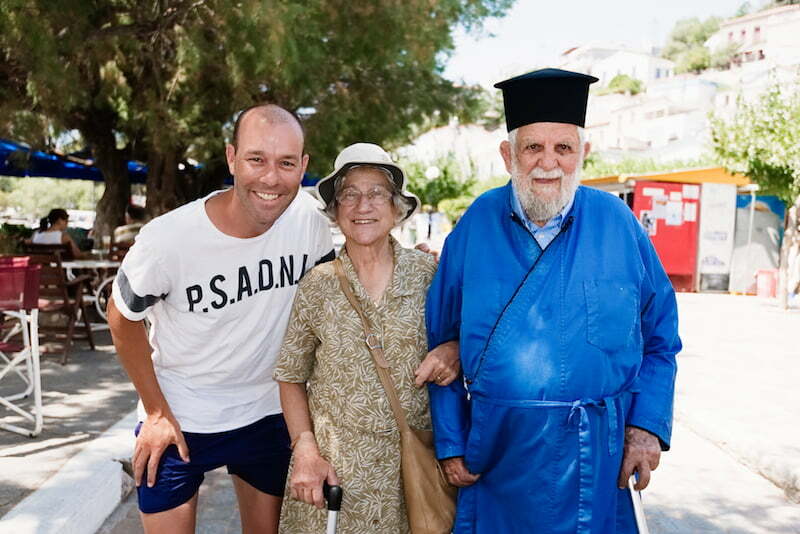 When is the 100 Not Out Mediterranean Longevity Experience taking place? The Experience begins on Wednesday September 4 2019 and we will say farewell on Friday September 13. 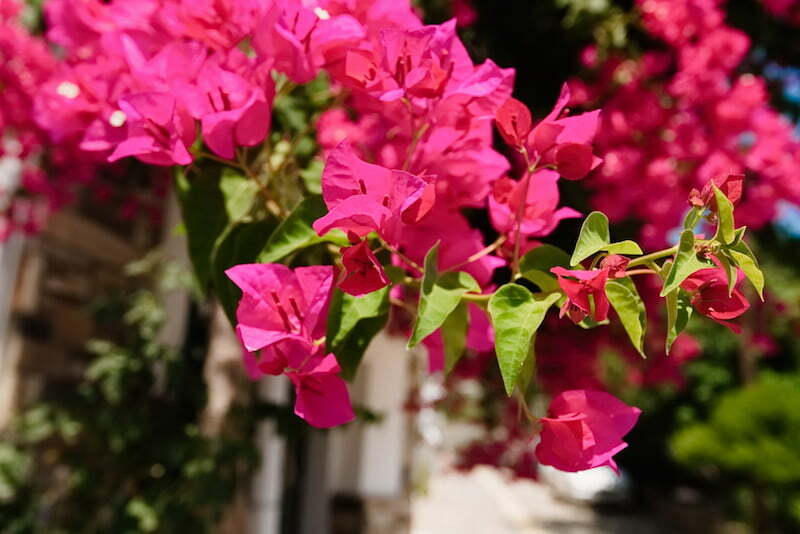 You may decide to extend your trip to either more Greek Islands or other European destinations to enjoy more of the European Summer. Are the payment arrangements flexible? We appreciate that our attendees are in different phases of life and have different financial setups. If you wish to tweak the payment arrangements outlined on this site, please email marcus@thewellnesscouch.com outlining your preferences. 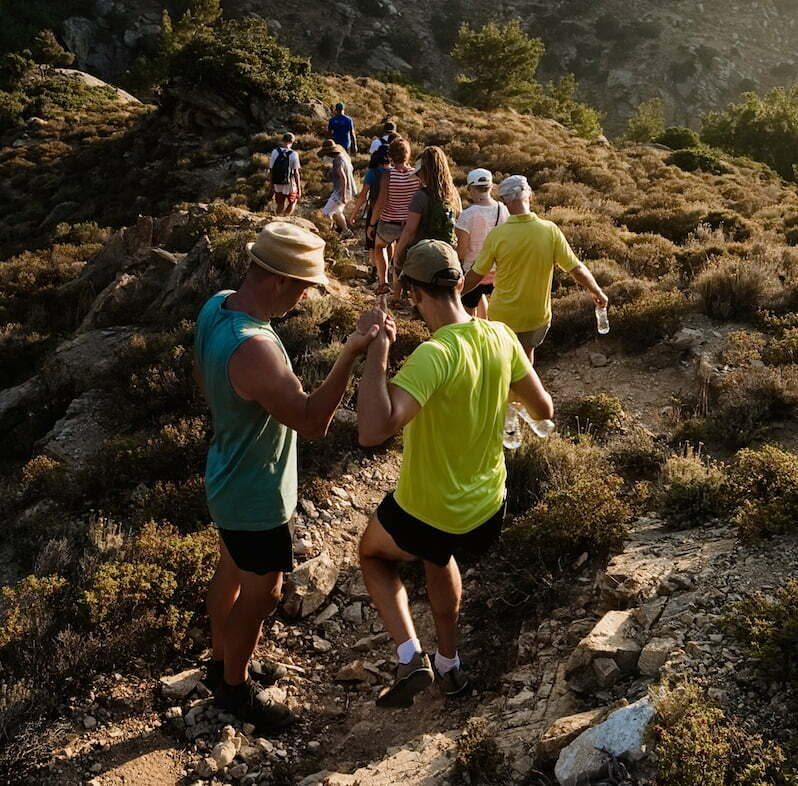 Your registration to the 100 Not Out Mediterranean Longevity Experience is fully transferrable right up to the day of the event and to any future Experience. However there will be no refunds provided for the Experience. 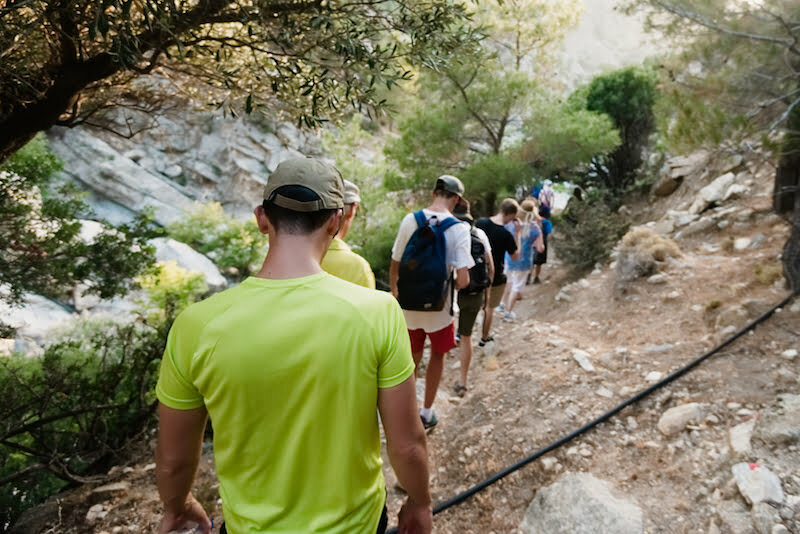 We highly recommend obtaining travel insurance and Trip Cancellation Insurance that provides for extenuating circumstances happening before an event such as accidents or illness. TCI covers your flights and accommodation costs too. 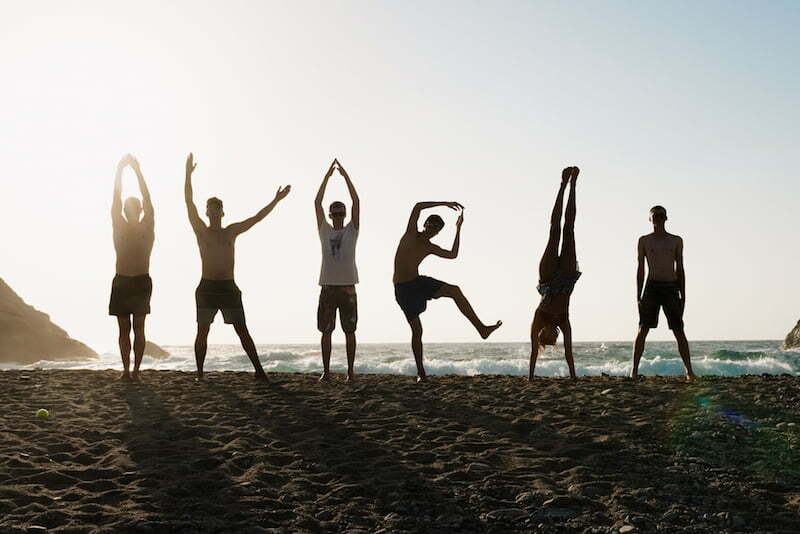 We recommend Travel Insurance Direct for all your insurance needs. Yes! You will not go hungry at all! 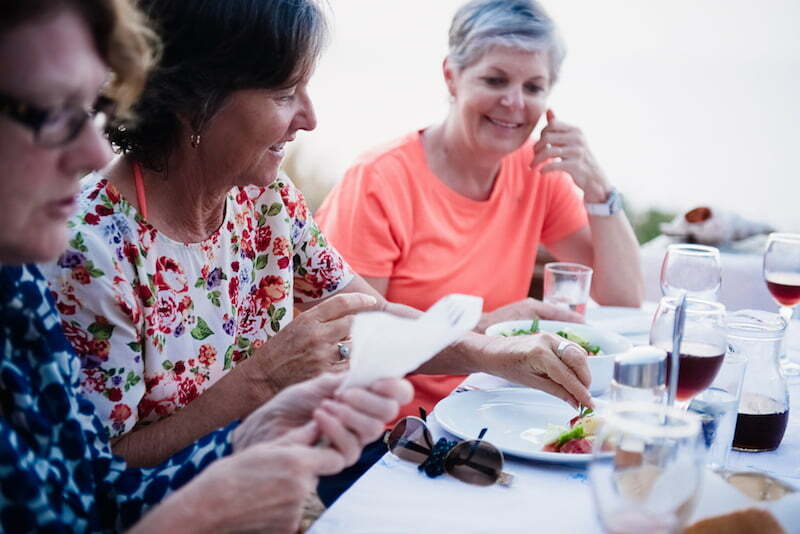 All meals (that is, breakfast, lunch, dinner and snacks) will be provided during the 100 Not Out Mediterranean Longevity Experience. 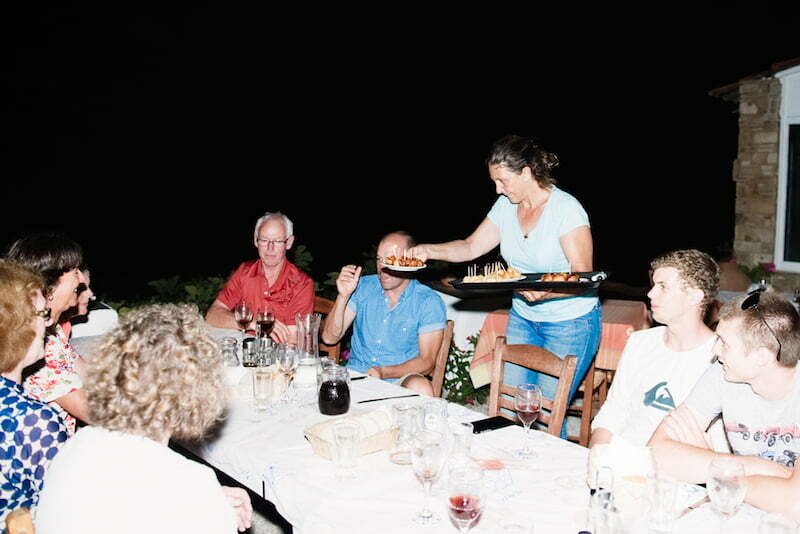 All meals will be served at the acclaimed Thea’s Restaurant or at a local restaurant on the island. 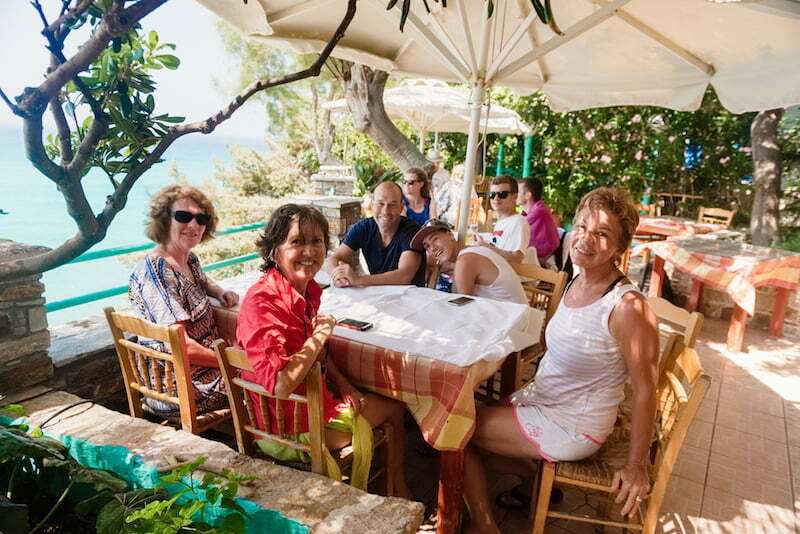 Each day you will dine on life-extending and life-enriching traditional Ikarian food and wine, lovingly cooked by Thea, Athena, Poppy and the team at the #1 Trip Advisor Thea’s Restaurant. A big YES! If you love your wine you will be happy to know that the traditionally cultivated and prepared Ikarian red wine IS included. 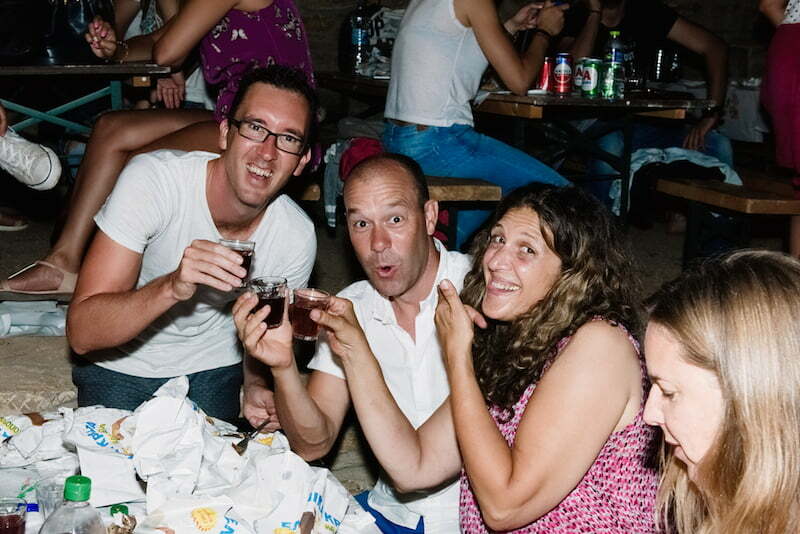 The Ikarians drink more red wine than any of their Blue Zone counterparts, which some people will love. 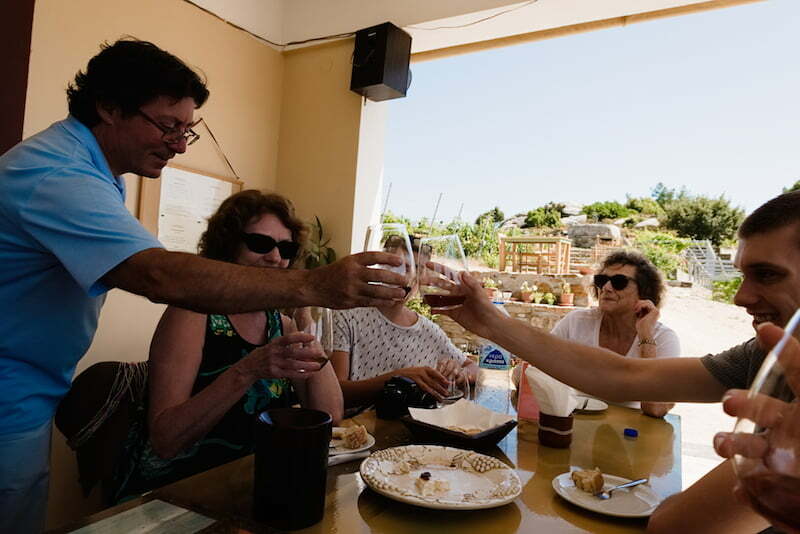 And if wine’s not for you, freshly squeezed juices, superfood smoothies, organic coffee, beer and champagne (and a few other locally produced aperitifs) are also included in the Experience. I have a question that's not on here. No problem! Just email marcus@thewellnesscouch.com and Marcus will return your email as quickly as you can say Ikaria! 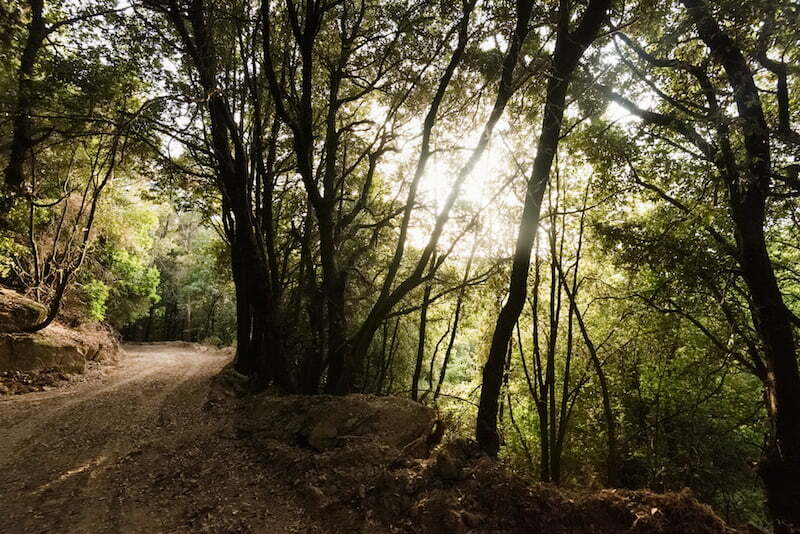 Damian Kristof has been walking the walk and talking the talk of wellness for the better part of the last 20 years as a Naturopath and Chiropractor. 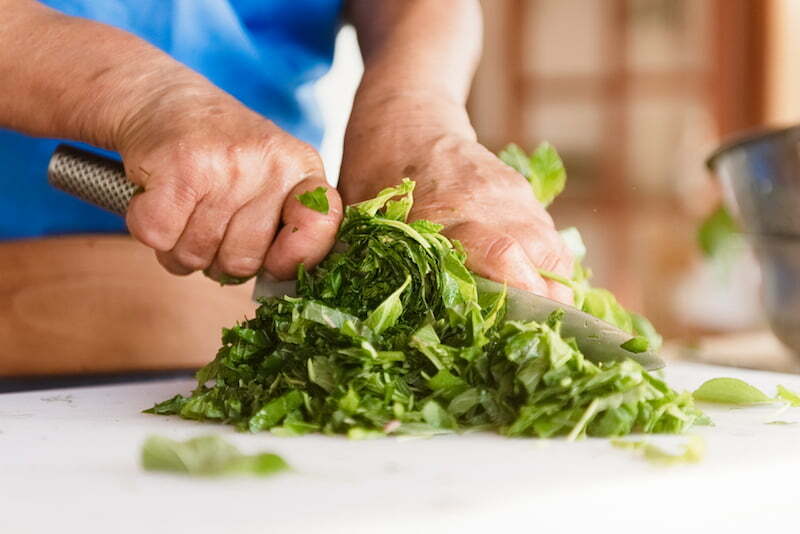 His approach and excitement regarding all things healthy and well is contagious. 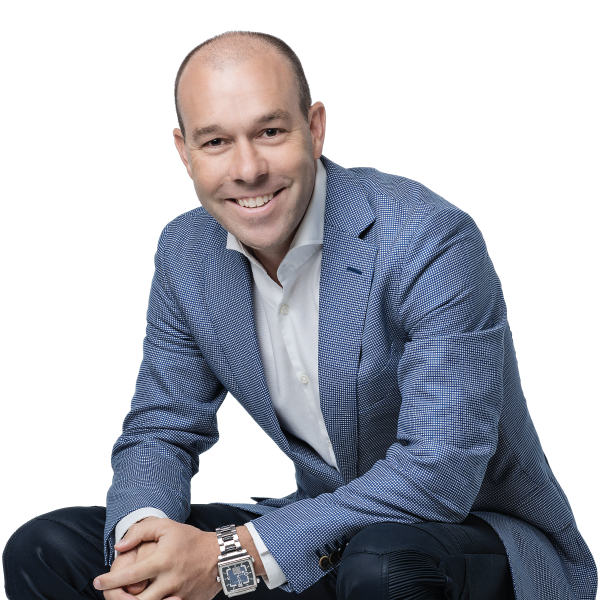 Damian is one of the founders of The Wellness Guys, The founder of Forage Cereal and owner of Vida Lifestyles in Melbourne Victoria Australia. He is the presenter of the New Zealand smash hit TV series Downsize Me, if a regular contributor to health in New Zealand and Australia. He regularly appears on Melbourne’s Triple M during drive time with the Rush Hour. Damian is wrapped to be able to contribute weekly to the Wellness Guys and is excited about the way the Wellness Couch is promising to change the face of health and health care globally. 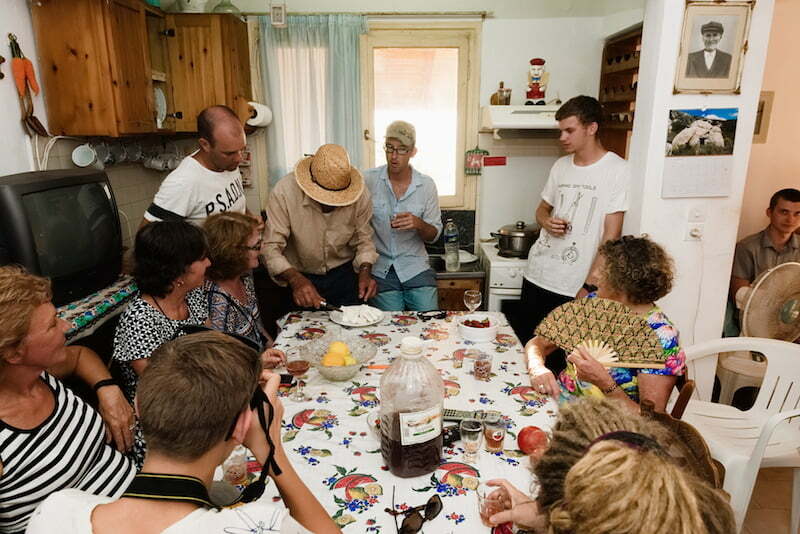 Around Australia, Damian can be seen live speaking on the “Power of Food” and “Crack your Stress Code”. The beginning of the revolution came when he met his now-wife Sarah, a wellness chiropractor. Embarking not just on a magnificent relationship but a complete lifestyle and philosophical change, Marcus began to slowly take away his least healthy habits and replace them with life-extending, empowering ones. The transformation from an addicted smoker to extreme (not necessarily healthy) vegan (sometimes raw) and now back again to somewhere in the middle has taken him on an incredible journey where he’s met, learnt from and worked with a range of leaders in the health and empowerment world including leading doctors, chiropractors, dentists and Tony Robbins, Dr John Demartini and Eddie McGuire.